Our recent victory in the hotly contested election to the International Court of Justice seems to have lifted our spirits as a nation. We are justifiably proud of our success and of the skill and determination with which our diplomacy was deployed. It would be prudent, however, not to interpret this in a way as to raise hopes of a permanent seat in the Security Council. The two most prestigious organs of the United Nations are the Security Council and the International Court of Justice. While the Security Council has 15 member states, the ICJ has 15 judges. Election to the UNSC is conducted only in the General Assembly and requires two-thirds majority to get elected. Election to the ICJ is held concurrently in the UNGA and UNSC and requires absolute majority of the total membership in each organ. Veto does not apply for election to the ICJ. India has lost elections to both these organs in the past. 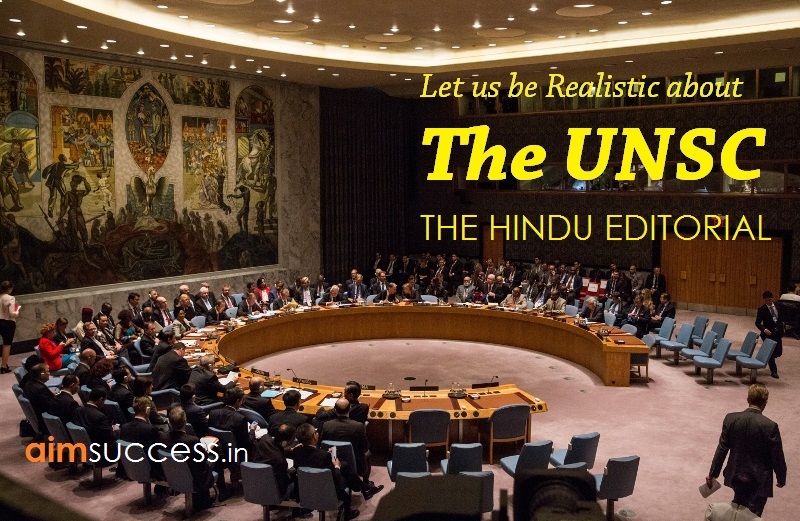 Of the two, the UNSC is by far more important from the national interest point of view. It deals with questions of peace and security as well as terrorism and has developed a tendency to widen its ambit into other fields, including human rights and eventually environment. In addition to the Kashmir issue, which Pakistan forever tries to raise, there are other matters in which India would be interested such as the list of terrorists — Hafeez Saeed for example. Since it is in permanent session, we have to try to be its member as often as possible. The ICJ is required to represent the principal civilisations and legal systems of the world. The judges sitting on ICJ are expected to act impartially, not as representatives of the countries of their origin. That is why they are nominated, not by their governments but by their national groups in the Permanent Court of Arbitration based in The Hague. To have an Indian judge at the ICJ, when we have an active case on its agenda regarding our national in illegal custody of Pakistan might be of some advantage, though it would be wrong to assume that the final judgment will go in our favour simply because an Indian is on the bench. He will surely act in an objective manner. We will win because we have an excellent legal case and are ably represented by an eminent lawyer. There are other bodies in the UN that are not as well known but are important enough to be represented on like the ACABQ (Advisory Committee on Administrative and Budgetary Questions) and the Committee on Contributions. The former consists of 16 members elected by the UNGA on the recommendation of the Fifth Committee of the UNGA dealing with the budget of the UN. Usually, the members are officers of the permanent missions serving on the Fifth Committee. Most often, they are of the rank of first secretary or counsellor; Ambassadors rarely offer their candidatures. The Committee on Contributions recommends the scale of assessments to the budget and the share of each member. This is a very important function, since the share decided by the UNGA applies to all the specialised agencies, etc. Even a 0.1 % change can make a difference of hundreds of thousands of dollars. We have had distinguished persons serving on both these committees, such as G. Parthasarathy, S.K Singh, as well as our current permanent representative, ambassador Syed Akbaruddin. Some stalwarts have also lost these elections. There is also the Human Rights Council; we have had almost continuous representation on it. The U.S. lost the election to it a few years ago; there is widespread resentment against the P-5’s presumption to a permanent seat on all bodies. Primarily at our initiative, the question of Security Council reform, euphemism for expansion, has been under consideration since 1970s. There is near unanimous support for increasing the number of non-permanent seats. The controversial question is about the increase in the category of permanent seats. The rationale for expansion has been accepted in-principle by nearly all, but the difficulty arises when the actual numbers and their rights are discussed. India, along with Brazil, Germany and Japan, has proposed an increase of six additional permanent seats, the other two being for Africa. The African group is demanding two permanent seats, recognised as reasonable by every member, but there are at least three and perhaps more claimants for the two seats. Then there is the question of the rights of the additional members. The G-4’s initial position was for the same rights as the present permanent members, essentially the veto right. Over the years, they have become more realistic and would be willing to forego the veto right. The firm position of the Africans is that the new members must have the same rights as the existing ones. This is a non-starter. The P-5 will never agree to give up their veto right, nor will they agree to accord this right to any other country. (France supports veto for additional permanent members.) Also, the general membership of the UN wants to eliminate the existing veto; they will never agree to new veto-wielding powers. Variants of the veto provision have been suggested, such as the requirement of double veto, i.e. at least two permanent members must exercise veto for it to be valid. The P-5 are not willing to dilute their self-acquired right. Many member-states have been pledgingsupport for our aspiration for permanent membership. This is welcome and should be appreciated; it would come in useful if the question ever comes up for a vote in the UNGA. Several P-5 countries have also announced support. The principal P-5 member opposing us is China. We should not be misled by their ambiguous statements on the subject. It has to be underscored that there is no way that India alone, by itself, can be elected as permanent member. It will have to be a package deal in which the demands of all the geographical groups, including the Latin America and Caribbean group which, like Africa, does not have a single permanent member, will have to be accommodated. Even if the Americans are sincere in their support for us, they will simply not lobby for India alone; it will be unthinkable for them to try to get India in without at the same time getting Japan also in. It is equally unthinkable, for a long time to come, for China to support Japan’s candidature. The P-5 will play the game among themselves but will stand by one another, as was evident recently at the time of election to the ICJ. So, we should be realistic. If a permanent seat is not available, there are other proposals on the table. One proposal is for the creation of ‘semi-permanent’ seats, according to which members would be elected for six-eight years and would be eligible for immediate reelection. Given India’s growing prestige and respect, it should not be difficult for us to successfully bid for one of these seats; it might be a better alternative than to unrealistically hope for a permanent seat. Example: No prudent money manager would authorize a loan without first knowing its purpose. Meaning: To decide what the intended meaning of something is. Example: A jury should not interpret the silence of a defendant as a sign of guilt. Meaning: The use of an arbitrator to settle a dispute. Example: Tayside Regional Council called for arbitration to settle the dispute. Example: He vowed to put jobs at the top of his agenda. Example: One of the world’s most eminent statisticians. Example: His resentment at being demoted. Example: The jargon has given us ‘downsizing’ as a euphemism for cuts. Meaning: A person making a claim, especially in a lawsuit or for a state benefit. Example: One in four eligible claimants failed to register for a rebate. Meaning: Go without (something desirable). Example: She wanted to forgo the tea and leave while they could. Meaning: A constitutional right to reject a decision or proposal made by a lawmaking body. Example: Neither state was given a veto over amendments to the Act. Example: The Prime Minister pledged that there would be no increase in VAT. Meaning: (Of an issue, situation, or problem) occur or present itself, especially unexpectedly. Example: The subject has not yet come up. Meaning: Cause (someone) to have a wrong idea or impression. Example: The government misled the public about the road’s environmental impact. Meaning: Open to more than one interpretation; not having one obvious meaning. Meaning: A group of people seeking to influence legislators on a particular issue. Example: Members of the anti-abortion lobby. Meaning: An attempt or effort to achieve something. Example: He made a bid for power in 1984.